Sweetened with all-natural agave nectar. Some of the greatest ideas start small. Our founder was struck with the idea of a miniature bottle that could be clipped onto a glass directly with no requirement for bulky attachment or fragile hardware. After countless hours of design and hundreds of different iterations, our signature mini sidecar bottle was born. 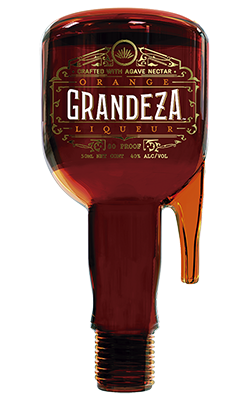 Designed to sit right on the rim of your glass, our bottle ensures that your cocktail is always perfectly filled just right.